Country Mouse is a 15cm (6") mohair mouse. He is a dark brown with a lighter stomach and ears. 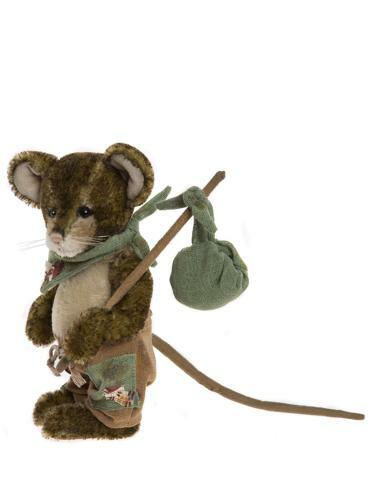 He wears a tatty pair of brown and green trousers with a matching bandana round his neck, while also carrying his belongings in a budle on a stick.